Our club exhibition featuring model railways from ‘N’ to ‘O’. Come and help us celebrate the 50th exhibition to be held in Mickleover (Derby). The first shows were run by St Johns Church for fundraising which led to the development of the Club. After using a number of venues we are now settled at Mickleover Community Centre which also enables us to open our Clubrooms where others layouts will be displayed, including ‘Duffield’. Our well known exhibition layout ‘Farkham’ will also be displayed in the main hall. N-gauge modellers have a Super-Sunday in which to celebrate their passion, when Wonderful World of Trains & Planes joins forces with the West Midlands N Gauge Club to host a special day dedicated to N gauge layouts. A dozen or more layouts will be running on the day, Sunday 19th October, from 10am to 5pm, with several UK-themed layouts, as well as some depicting Germany, France and the USA. and range in width from 2 feet to a hugely impressive 10 feet. N-gauge modellers have a Super-Sunday in which to celebrate their passion, when Wonderful World of Trains & Planes joins forces with the West Midlands N Gauge Club to host a special day dedicated to N gauge layouts. A dozen or more layouts will be running on the day, Sunday 19th October, from 10am to 5pm, with several UK-themed layouts, as well as some depicting Germany, France and the USA. and range in width from 2 feet to a hugely impressive 10 feet. The modellers of each layout will be on hand to operate and discuss, but this is a rare opportunity to get all these N gauge layouts together and one enthusiasts will not want to miss. Other modellers with N (Or smaller) gauge layouts are also welcome to contact the show if they would like to join in. Just get in touch. Professional flight simulators and a four-car race track are also part of the overall experience. There is also a coffee shop and retail store. On-street parking is free on Sundays in the area and there is also a 1000-space car park at the end of the road which charges £3 for the entire day. *LAST MINUTE CHANGE OF VENUE* Due to circumstances beyond the control of the University and ourselves, we have had to move venue to the Holywell Park Conference Centre. Free on-site parking, disabled access, refreshments available. Bus connections from Loughborough Railway Station, Town Centre and Leicester City Centre. 5 minutes from M1 Junction 23. Members are admitted for £5.00 on production of valid membership card. Apart from 2 Guild test tracks, in 7mm fine scale, there will be 15 layouts. As usual there will be the Guild Bring and Buy stand and the Executor and Trustee Stand present, and Guild Services stands. Ten Demonstrators and the Loco Clinic will be attending. 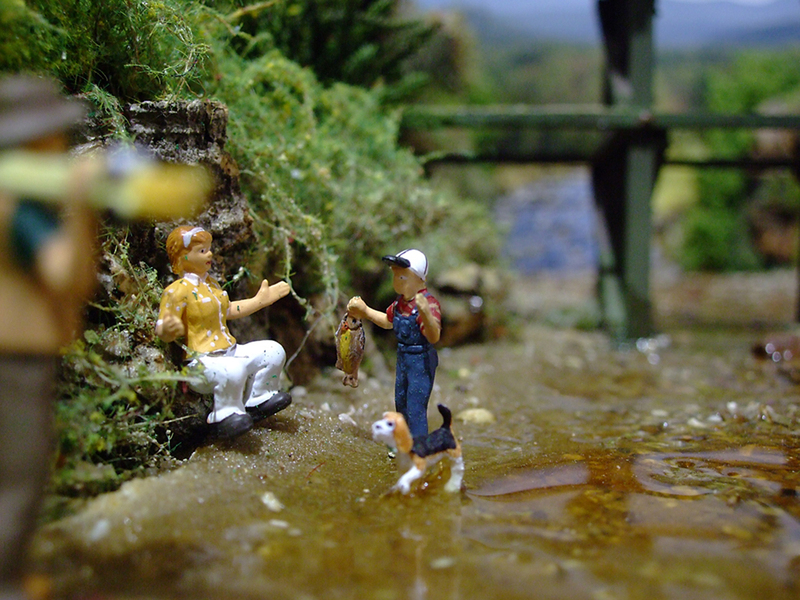 Around 90 Traders will be on hand to provide most of what is available in 7mm scale. Reduced rate £5.00 for members with valid card. This is the Annual two day Convention of the Gauge 0 Guild and draws together membership from all over the world. The Annual General Meeting is also held on the Sunday, separately from the Show. As part of the Track to the Trenches event at Apedale Valley Light Railway marking 100 years since the start of the First World War, we will be displaying 10 model exhibits plus a 7 1/4″ miniature ride-on-railway. • Warners Group Publications – RM Web Live! The International N Gauge Show will be returning on the 13th and 14th September and is set to be the best show to date. Many of the leading manufacturers and suppliers have already confirmed their attendance and the full list of exhibitors and layouts can be seen below. This is updated regularly as more exhibitors confirm they are joining us. This is an exhibition dedicated to N Gauge Modelling at its best and attracts nearly 3, 000 enthusiasts every year. Make a note in your diary now. See the Warley Model Railway Club at home. Free admission. Layouts, demonstrations and refreshments available. A fun day out for all the family and enthsiasts alike. Have a go controlling on Yardlea our 00 gauge club layout. Layouts on show in N gauge, 00 gauge, O gauge, 7mm finscale, EM gauge, Narrow gauge and G scale. All in aid of the Macmillan Coffee Morning. The West Midlands Narrow Gauge Group proudly present NARROW GAUGE MIDLANDS 2014. 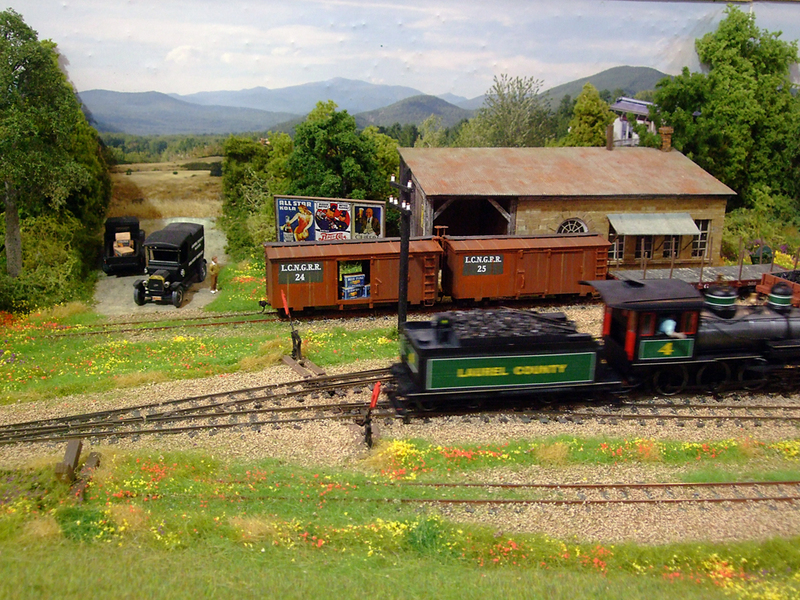 This year’s show features 10 narrow gauge layouts, the OO9 Society’s Sales stand and other trade support. Jane’s cafe will again be providing tea, coffee, cake and light meals. Entry fees: Adults £4, OO9 Society members £3, Accompanied Children (under 12) admitted free. Bournville Model Railway Club presents its third exhibition on Saturday 30th August at the Hollymoor Centre. Northfield. Birmingham. B31 5ER. This years exhibition is its largest to date with twelve traders, fifteen layouts and two modelling demonstrators attending. Doors open at 10.00am and a full hot meal service and refreshments will be provided by Hollymoor catering staff. See the Warley Model Railway Club at home. Free admission. Layouts, demonstrations and refreshments available. A fun day out for all the family and enthsiasts alike. Have a go controlling on Yardlea our 00 gauge club layout. Layouts on show in N gauge, 00 gauge, O gauge, 7mm finscale, EM gauge, Narrow gauge and G scale. The 2014 Telford Narrow Gauge show will follow the well proven format of previous years, however it has moved to a SATURDAY. The date is now confirmed as SATURDAY 12th July 2014. All proceeds to the Fairbourne Railway. New flat rate admission price of £3 for 2014, accompanied childern U16 FREE. FREE on-site parking. Now an established regular event in the narrow gauge exhibition calender this show provides a summer opportunity to get a narrow gauge fix with some excellent layouts on show and with a narrow gauge specific trade presence for all those items you cannot get elsewhere. Layouts in N to 1 gauge. Traders in all common gauges, new and secondhand, two demonstrators. Also at least 6 other stalls of a more general nature, ie; tabletop sales. Proceeds to the St Laurence Church. Bacon butties, sandwiches, cakes, tea, coffee etc available, till supplies run out!! A new feature this year is 30ft plus fine scale 0 gauge layout with full sound called East Dean. Many thanks to Nigel Smith for bringing this to the show. Following the success of last year we have planned a further event with the proceeds being donated between McMillan Cancer Research and Midlands Air ambulance. ample free parking. Light refreshments. Disabled access. Once again you are invited to attend the country’s premier North American model railroading exhibition. 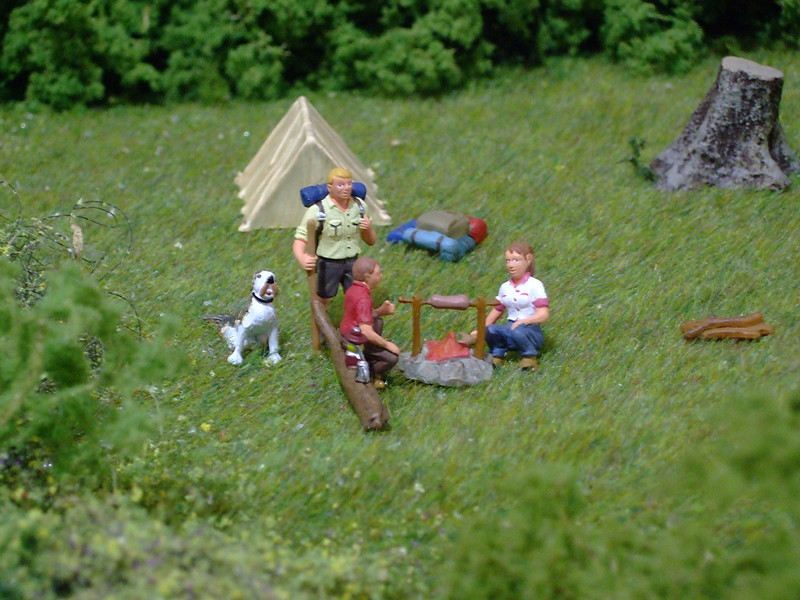 This year is the 5th aniversary of the show and we have an excellent selction of layouts (16) and traders (6). Refreshments will be available all day, parking is free. 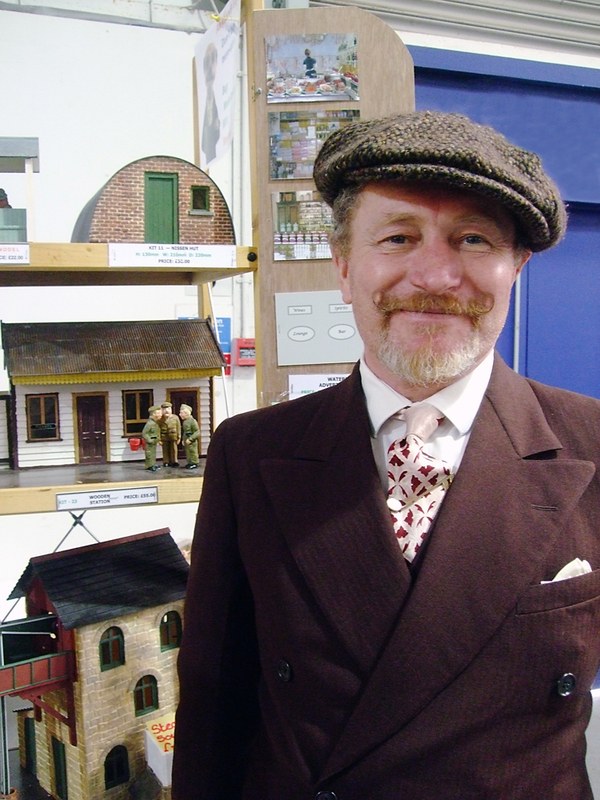 A Massive Toy Collectors Fair in the Midlands Collectors can explore 500 stalls selling a huge range of collectable toys, trains and models, with many specialist model railway dealers in attendance. 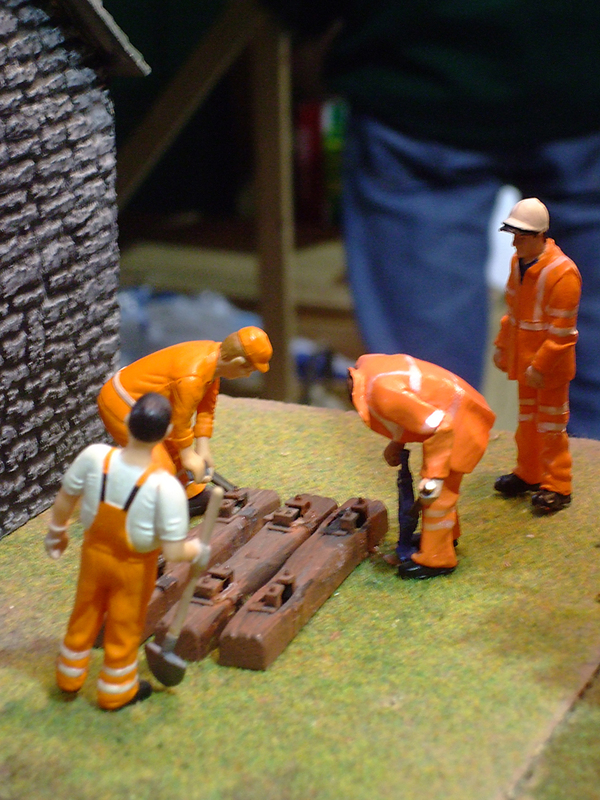 Mickleover Model Railway Group will be holding its 34th annual Derby model railway exhibition on 10th and 11th May. Bringing together a wide selection of high quality layouts and exhibits from across the country, they will cover British, European and American outline in a variety of scales. In addition, a comprehensive range of trade stands, demonstration displays and specialist societies will be also attending the show making over 60 stands in total. Mickleover Model Railway Group will be holding its 34th annual Derby model railway exhibition on Saturday 10th and Sunday 11th May at Moorways Sports Centre, Derby. Bringing together a wide selection of high quality layouts and exhibits from across the country, they will cover British, European and American outline in a variety of scales. This year also sees the City of Derby celebrating the 175th anniversary of the railway first arriving. Since 1839 it has grown to become a world leading location, developing a uniquely skilled workforce with the technical and specialist expertise able to finance, build, maintain and renew complete railways, whether at home or abroad. A programme of events has been developed throughout 2014 that celebrates the railway anniversary and the Derby Model Railway Exhibition is pleased to be part of this. Exhibition showcasing a variety of layouts by invited guests with demonstrations and trade support. Our fifth annual model railway exhibition with most of the exhibits appearing at Bloxwich (St John’s) for the first time. Over the Sunday and Monday of the May Bank Holiday Weekend the Battlefield Line presents a selection of vintage toy trains at Market Bosworth Station. 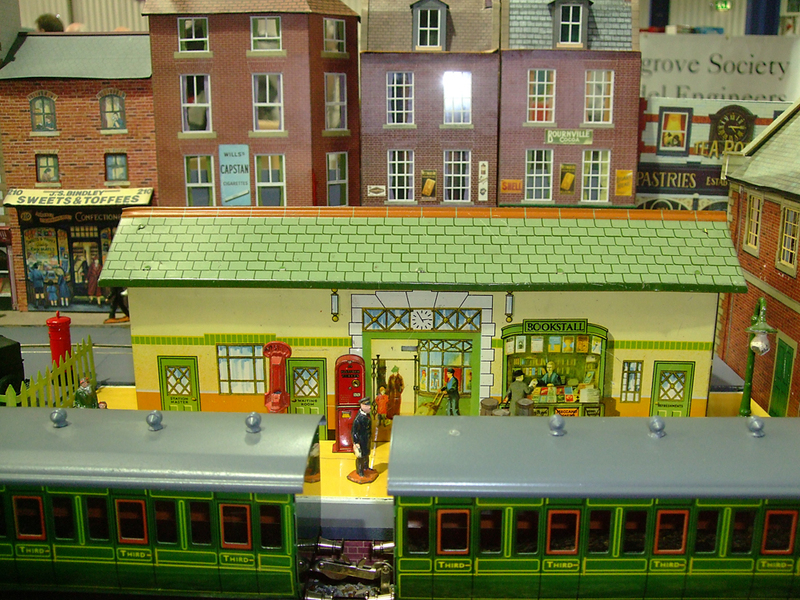 from days gone by the Good Shed will be hosting a number of toy trains and sets from yesteryear. from Hornby to Tomy and tinplate to plastic. The trains cover a period that extends over the last 100 years and a variety of manufacturing materials and gauges. Inside the Goods Shed will be displays which showcase a wide range of train and railway sets from the last century along with some selected exhibits of related interest. These are not necessarily scale models, but the trains children could rip out of Christmas wrapping paper and play with there and then. We do hope you can join us at Market Bosworth for a train filled weekend, showing off engines and sets that used to delight the children of yesteryear, when many toys still had ‘Made in Great Britain’ stamped on them. Next to the Goods Shed the trains of the Battlefield Line will be passing through Market Bosworth Station offering rides throughout the weekend, and both complimenting and dwarfing their smaller cousins inside the shed. Basic refreshments are available at Market Bosworth. Refreshments are also available at Shackerstone Stations Victorian Tea Rooms and the Shenton Station Cafe. And don’t forget there is Bosworth Battlefield at the end of the line to explore. So why not come early and combine a train and medieval day out? More than just a train ride, a journey into history! DEMU Showcase is the premier UK exhibition dedicated to diesel and electric modelling. 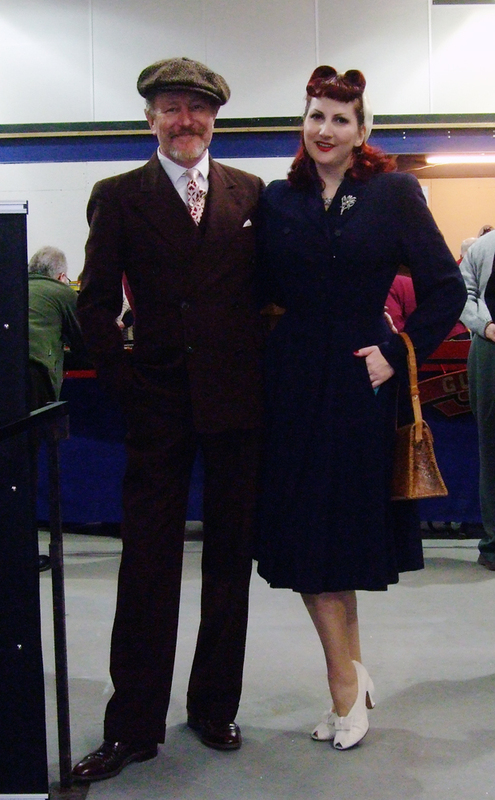 This weekend (15th March 2014), we went to Warwickshire Exhibition Centre’s Garden Rail show! It was fantastic, with everything from 2 Gauge to T Gauge! As usual I was completely fascinated with all the little things and aging techniques. 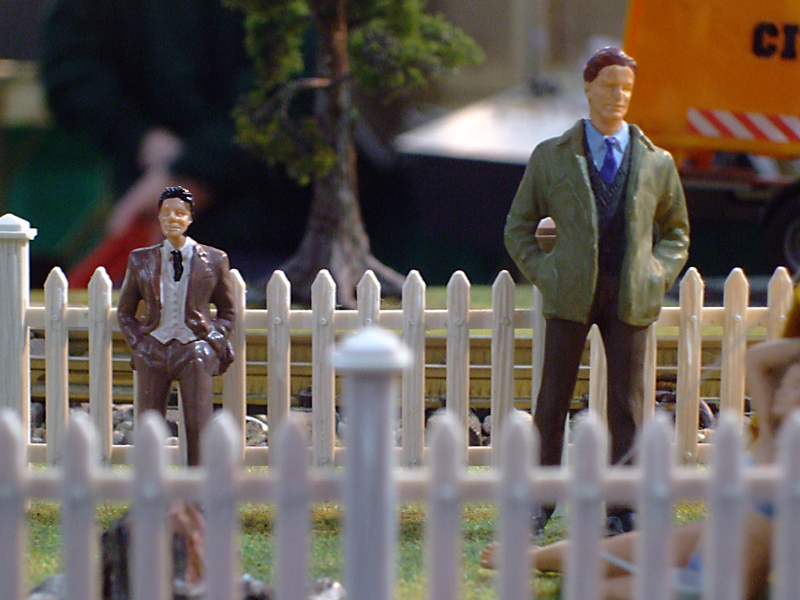 Some of the little people were completely hilarious and the hand built trains were so awe inspiring! Some of my favourites were the industrial set ups that reminded me of Tysley’s depot and a 1930’s tin railway with original and repro pieces (yes they actually make them just like the originals!). More of the American train set, which featured a fantastic bridge and river! OPENING TIMES: 10 A.M. – 5 P.M. 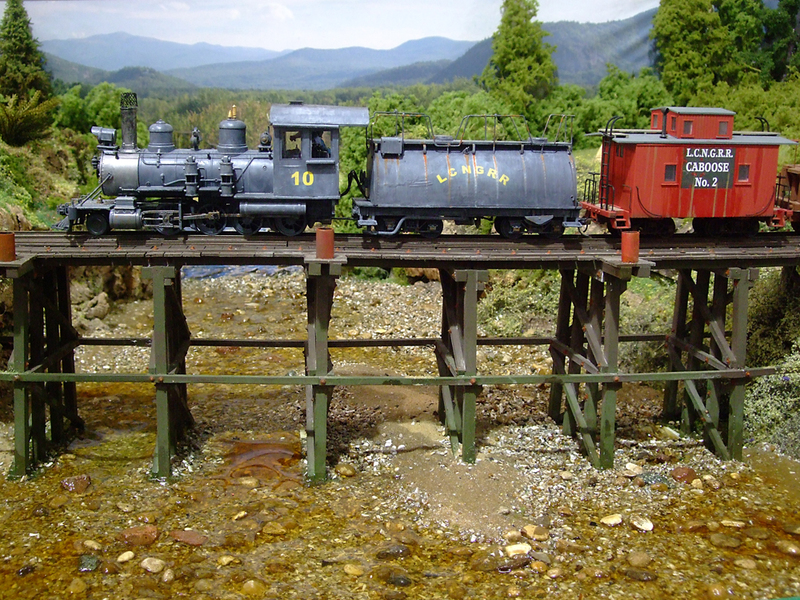 This event is the G Scale Society’s annual show incorporating their annual general meeting. The layouts are mainly at G Scale but other scales are being exhibited. There will be representatives from other societies and preservation groups. We will have a shuttle bus service from Stafford railway station to the Showground, throughout the day as well as a smaller bus transporting visitors between the exhibition halls and the Stafford and District Model Engineering Society’s miniature railway. OPENING TIMES: SAT 10.00am – 5pm. Layouts from Z to 0 gauge. Strutt Centre is on the right hand side of the A6 when approaching from Derby opposite Babington Hospital and just after “The Tavern” Pub. from Center of Belper it is about 250 meters after the Morrison’s roundabout on the left hand side. The Trent Barton Sixes bus services stop outside the Center. Belper Railway Station (Matlock Branch Service) is about a 10 minute walk.